The perfect waste/recycling bin for large families and business users, this elegant product with hands-free automation offers a large, 80 Litre big bin, capacity. The bin is designed to look elegant and has a small footprint. 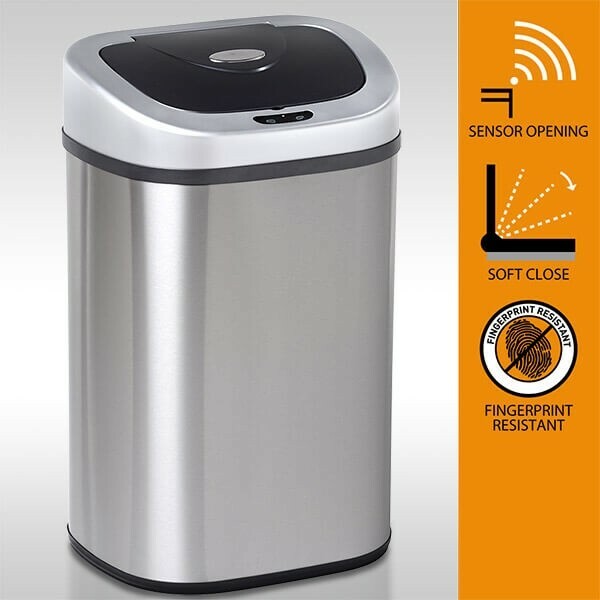 The patented motion activated sensor helps reduce cross-contamination by eliminating the need to touch the bin when opening and closing the lid. 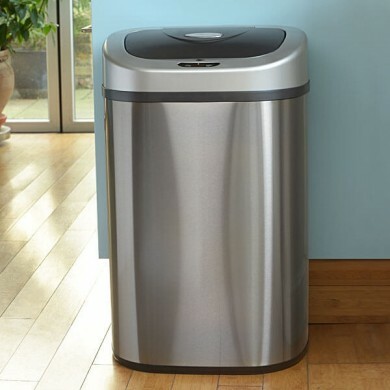 This stylish Maxi Range bin offers excellent value for money and uses the latest technology to provide a range of hygienic solutions to waste management without the huge price tag. All Autobins are constructed using high quality brushed stainless steel and sturdy ABS plastic for durability. 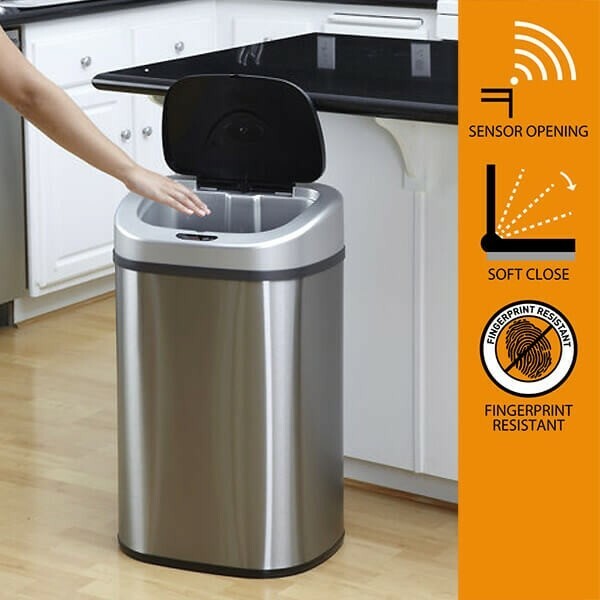 The smart sensor employed in the 80 litre big bin, the largest waste bin in the sensor range, works by using infrared technology to detect motion, The bin picks up the movement of your hand and opens the lid, allowing waste to be easily placed inside, before closing after 3 seconds. To extend the automatically set time the bin is open, there is a manual override feature. The rubbish bag is securely held in place by an innovative bag-retaining ring that fits inside the waste bin to prevent the bag slipping and also hides the edge of the bag overhang to give a tidier appearance. Motion sensor using New ‘Eagle Eye’ Technology ™- only opens when you are close by, just above the sensors. Excellent choice. Review by Iris.